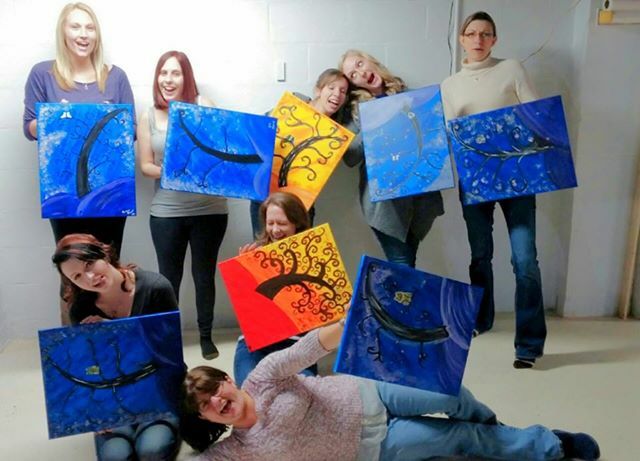 Host a Private pARTy with Uptown Painting Party! Choose ANY painting you want! We even take special requests! Send us images that you want to paint, and we will create you an original! Bring your own wine, music, and food! No minimum for onsite events. We provide all materials, canvas, paint, instruction, etc. Have a pARTy in the comfort of your own home! 10 person minimum for travel events. Off Site Pricing: 10 person minimum– no exceptions.